If you are looking for Corner Bench suppliers in South California? 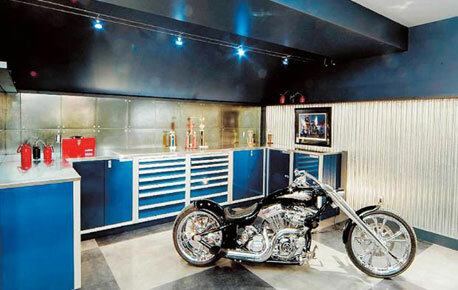 Contact Garage Envy immediately. Whether you're looking for an expansive corner bench that could double as your office, or a tool area to tinker on occasion, Garage Envy has a solution right for you. Using 1-½” Michigan Maple for durability (stainless steel and Formica are also available), we can customize the sturdiest workbench on the market as either a fixed unit or a rolling work station. Rolling units are equipped with heavy-duty, full swivel, 3-1/2” lockable casters, allowing you to work in or outside of the garage. Standard bench dimensions are 25" deep; custom-bench depths can be as deep as 36” or as shallow as preferred. Standard lengths start at 24“ and extend to 144”. 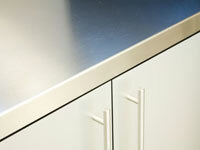 Custom lengths can be ordered and modified on site. 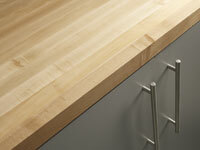 Our Michigan Maple bench surfaces are clear maple, straight grain, knot free and UV coated. Solid benches can be affixed to the wall or free-standing. 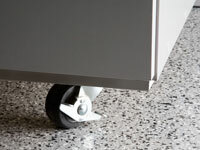 Our free-standing steel legs are adjustable to accommodate all uses.